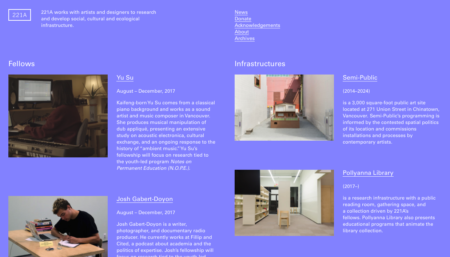 221A is pleased to announce the launch of its online platform that’s been re-developed in response to the change of 221A’s programming model this autumn. The websites were designed by Christy Nyiri and Brian McBay and developed by Nyiri. 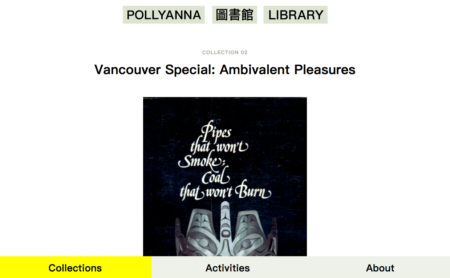 Finally the launch of polly-anna.ca, a website that includes information about the collections, including shelving codes for items, as well as upcoming activities at the library.